As the River Crossing Playback Theatre ensemble continues to grow and perform, it’s been exciting to see a contagion of interest in learning more and doing Playback Theatre. Workshops are how we learn to do Playback Theatre, experience the thrill of telling, listening and improvising the group-mates’ experiences. We’ve found that ongoing classes (rather than one-time workshops) also fulfill another need: cultivating a community that generates its own momentum and support. I’m excited to announce that our River Crossing Playback is now crossing into Friday night entertainment territory on June 4 for First Friday in York. Join us at 8 PM at the York Friends Meetinghouse. It will be an evening of high drama as our ensemble performs the stories of our neighbors – and maybe even your own! A beautiful opportunity for gathering our community and hearing its authentic voices. The original cast of 'Healing York Playback' in April 2008 at the Friends Meetinghouse. York Dispatch - John Pavoncello photo. 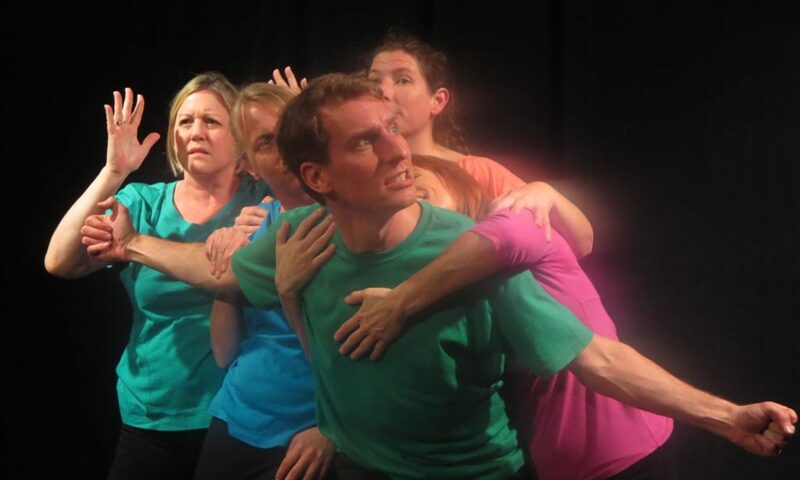 Playback Theatre brings to life the stories of its audience through a compelling and suspense-filled improvisational process. One thing is certain; there never was – and never will be – a show like this one. This special First Friday event is held in the heart of downtown York’s art district on an evening with lots to do. See also http://downtownyorkpa.com and most of all, come see for yourself! 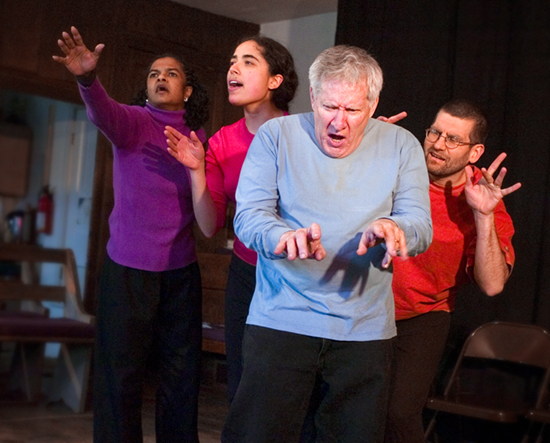 The River Crossing Playback Theatre ensemble was formed in 2007 to build bridges in communities throughout South Central Pennsylvania through the respectful enactment of real life stories. You can invite their unique and powerful performances and workshops to your community, organization, special event or place of worship. See also: http://rivercrossing.jubileearts.net or contact me. The event will take place at the York Friends Meetinghouse at 135 W. Philadelphia Street in York, PA. $10 donation suggested. More on the event is here at JubileeArts.net.